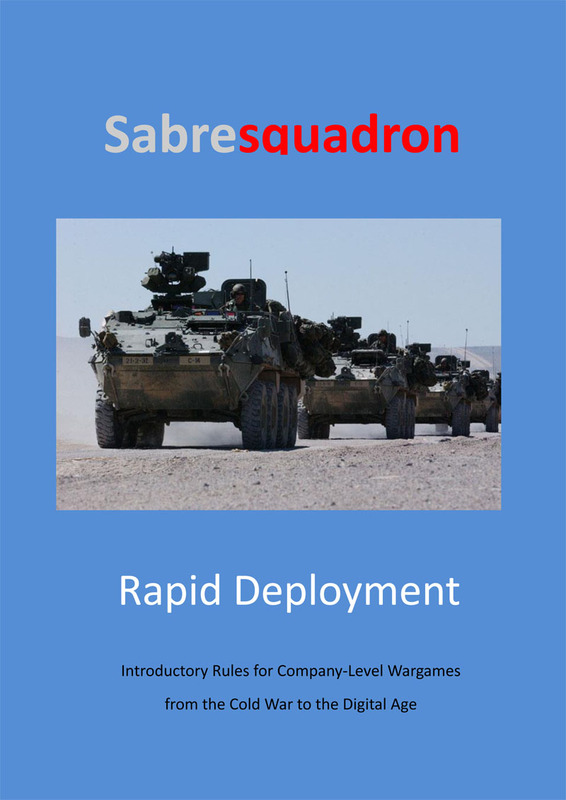 We are pleased to announce the release of Sabresquadron Rapid Deployment, free introductory rules for company level actions from the Cold War to the Digital Age. Rapid Deployment enables the player to experience the ideas and mechanisms of the Sabresquadron modern rules system prior to the release of the full rules, planned for early next year. Speed – Speed of manoeuvre, speed of communications and speed of decision-making. Lethality – If it can be seen it can be killed, but being seen doesn’t mean it has to be hit. Technology – Minor advantages can be significant, but one shouldn’t get bogged down with details. People – Training and leadership are vital if any weapons are to be used effectively. Position – Defenders will fire first but a static defence can be found and destroyed. We are adopting streamlined mechanisms, using only one type of die with consistent scores to achieve success and an optimum set of modifiers. The result is that, with a little playing experience, players will rarely need to consult the Quick Reference Sheet let alone the main rules. This entry was posted on Saturday, August 2nd, 2014 at 19:34 and is filed under News. You can follow any responses to this entry through the RSS 2.0 feed. You can leave a response, or trackback from your own site.